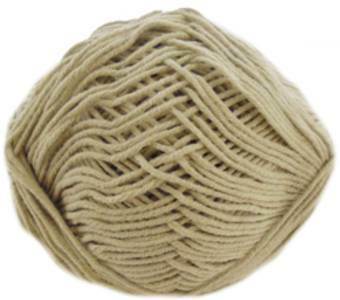 Sirdar Calico DK knitting yarn 709, Hopsack, in a light canvas shade. Soft, lightweight blend of 60% cotton/ 40% acrylic, perfect for summer. 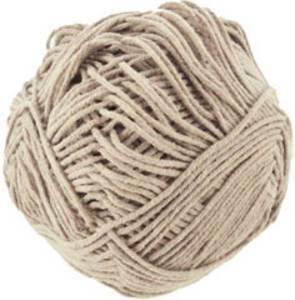 158m per 50g ball, machine washable. Use for any DK knitting pattern. Sirdar Calico DK knitting yarn 712 in a silver beige grey. Soft, lightweight blend of 60% cotton/ 40% acrylic, perfect for summer. 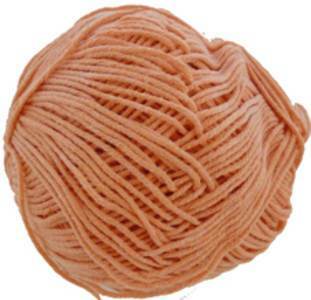 158m per 50g ball, machine washable. Use for any DK knitting pattern. Crochet top in lacy wave st shown in Sirdar Calico DK. Includes larger sizes 81-137cm (32- 54in). Beautifully styled crochet cardigan with circular yoke made in one piece shown in Sirdar Calico DK. To fit sizes 81 -107cm (32-42in). 16 must-have summer designs, mainly for women (one for girls) showcasing Sirdar Calico cotton blend DK. Includes designs S9004-S9011, ranging from simple and stylish tops to lace designs. Sizes vary with many in larger sizes, from 61-137cm (24-54in). 24 pages plus photos. V neck cardigan with lacy front panel and chevron lace panel on back, shown in Sirdar Calico DK. Includes larger sizes 81-137cm (32 -54in). V-neck tie front cardigan with long or short lace sleeves, shown in Sirdar Calico cotton blend DK. Includes larger sizes 81-137cm (32-54in). Striking swirl-style waistcoat in sampler effect lace stitches, with deep armholes and collar, shown in Sirdar Calico cotton blend DK. To fit 81-107cm (32-42in). Lacy waistcoat with deep V neck has stocking st shoulders, shown in Sirdar Calico DK. Includes larger sizes 81-137cm (32-54in).